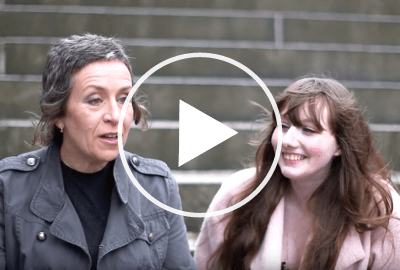 MCR Pathways young person Simone was matched with her mentor Mairi while at secondary school. They clicked from the beginning , bonding over a love of David Bowie, among other shared interests. Mairi spent one hour a week listening to and encouraging Simone. Giving Simone the confidence to see a better future lie ahead. A future Simone is now at college working towards.